Ha ha!! I am sharing a link to this post with everyone I know! 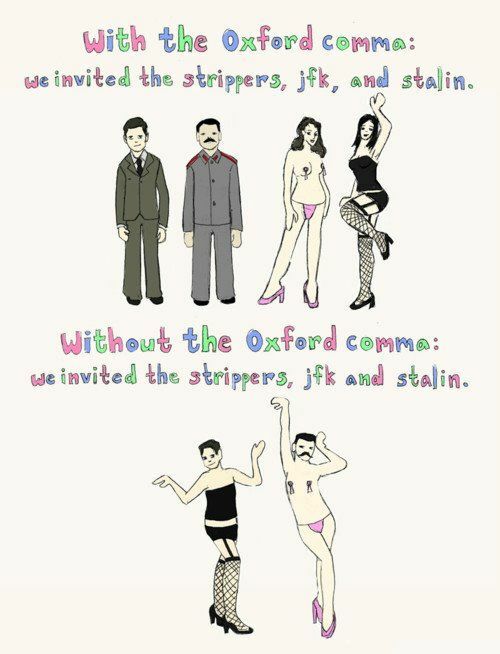 I’m also a big fan of the Oxford comma. My husband claims is superfluous, but perhaps seeing Josef Stalin with pasties will change his mind. Great velcro examples that will stick in many minds. Get focused and devoted and locate a spot where you can play daily, whether with peers or other footballers. ritual to wear your groups colors when going down to the pub.